As with most space flights, there were opportunities to add smaller objectives to the primary goals set out for STS-5. The deployment of the two Comsats and the EVA (and the first flight of a four-person crew) were the primary objectives, but there was a range of small mid-deck experiments for the crew to conduct during the mission. These included a number of life sciences Detailed Supplementary Objectives (DSO). 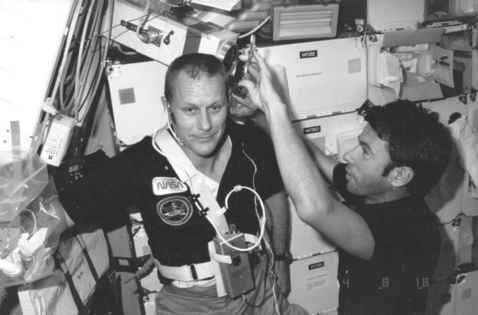 For Lenoir, those devised by fellow astronaut Bill Thornton were the most interesting, and were directly applicable to human adaptation to space flight. 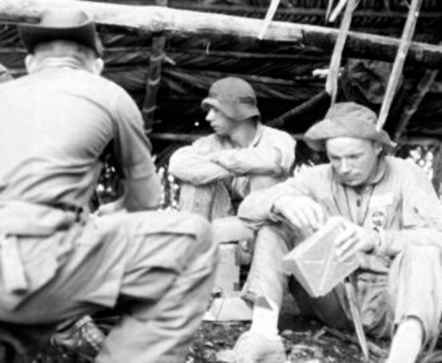 Some were conducted during the ascent and others during re-entry. One test required Lenoir to be restrained in a prone position in order to take data readings. The problem of trying to do this in weightlessness was resolved quite simply by taping the astronaut to the bulkhead with grey electrical ducting tape. Such improvisation was not confined to the medical experiments. 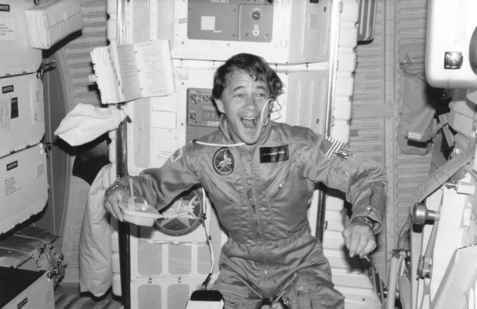 Joe Allen and the sheer joy of space flight - especially after waiting fifteen years to get there. As chief photographer, Joe Allen was very pleased to be given flight cameras to take training shots for practice, evaluating the rolls of film to hone his skills prior to the actual flight. Allen wanted to keep the cameras until the very last minute prior to flight, which to him meant when he was strapped into his seat on the mid-deck for launch. He took images of the trip out to the pad and of the ingress and gave the camera to a technician prior to closing the hatch. Some of these photos were so good that they appeared in Time magazine. A scientist-astronaut demonstrating the physics of liquids in space. 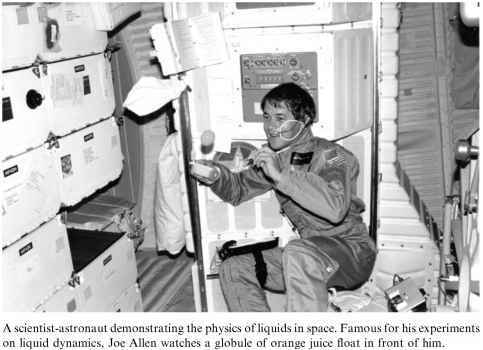 Famous for his experiments on liquid dynamics, Joe Allen watches a globule of orange juice float in front of him. to take the first four-crew photos, including some of the first "crew starburst'' images, something that has become a standard feature on subsequent flights. Despite the camera not having a delayed shutter release, no one at NASA ever said a word to Allen about the images, but he suspected that staff in the photo lab must have wondered how the shots were achieved. "Hair cut sir?" Lenoir trims the hair of Bob Overmyer to Marine standards. to orbit soon, and both would begin training for new missions into space from 1983. Only one of them would return to orbit. The late oceanographer Bob Stevenson, who trained many NASA astronauts and crews in observation and photography, once described Bill Lenoir as "a real happy chappy,'' and mentioned his particular fondness for fresh jalapeno peppers, which he grew in his back yard. When they were still green, Lenoir would often bring a bagful to work and happily nibble away on them during the day. Sometimes, he would offer them to younger astronauts and take a little impish pleasure at their reaction when they bit down and found out the true nature of what they were eating. Lenoir somehow received clearance to take a paper bag full of his beloved jalapeno peppers on the STS-5 mission. He planned on just popping one into his mouth every so often, and that whenever there was a TV broadcast to be made he would be seen just chewing away on them - just for fun. Unfortunately he became ill with a bout of space sickness early in the mission, and by the time he'd recovered sufficiently toward the end of his flight the rest of the crew had naturally finished off his lovely fresh peppers.